Cathy, welcome to my blog. I’m pleased you were able to fit me into your blog tour schedule. Set in 60’s Ireland, life is hard for widow, Oona Quinn, grief-stricken by the deaths of her husband and five-year-old daughter. Struggling to survive, she meets charismatic Jack Walsh at the Shipping Office. Q: What does “the Liffey” mean, for those of us outside Ireland? A: That’s a good question Carol. The River Liffey is the main river in Dublin. It rises in Sally Gap in Wicklow, just south of Dublin. It travels 125 kilometers through the centre of Dublin, out into Dublin Bay and into the Irish sea. Many bridges, I think about sixteen, have been build across the Liffey, the most recent is the Millennium bridge. The bridge, featured on the cover of my novel, Shadow Across The Liffey, is the Half Penny bridge, so named because at one time you had to pay half a penny to cross it. Q: I’m a sucker for an emotional book and this blurb sounds like the book has plenty to tug at the heartstrings. The excerpt on your website is heart-wrenching, for sure. Writing those emotions into the book is often emotionally draining for the writer. Did you find Ozona’s struggle with grief difficult to write? A: Yes, at times it was emotional and I cried many times in the writing of it. This was mainly due to the fact that I had experienced the death of my first husband with leukemia, and like Oona, my protagonist, I too was left to bring up my son and baby daughter without their father. Although I understood where Oona was coming from, it brought back painful memories. When Oona’s son, Sean, is kidnapped it tugged at my heart strings. For most of the story, it is written from my imagination, but I enjoyed writing the happy and funny scenes that made me laugh. And I felt happy for Oona, when she fell in love again with the hero, Jack Walsh. Q: 60’s Ireland isn’t a common time period in fiction. What made you choose that particular era and did you find it a difficult sell with publishers? A: I suppose, growing up in Dublin, I know the place well. I felt it was a good place to set my novel, Shadow Across The Liffey. I could always nip across for a long weekend on the pretence of doing research. Yes, Shadow Across the Liffey was difficult to sell to publishers, particularly, to mainstream publishers, 50s and 60s Ireland didn’t appeal. The market already had the top Irish authors, such as, Marion Keyes, Celia Ahearn and the late Maeve Binchy who wrote in a contemporary style. It wasn’t until e-books became popular that I got my chance and was taken on by Tirgearr Publishing, an e-book publisher, who have since brought Shadow Across the Liffey and Her Father’s Daughter out in paperback. While my books haven’t gathered the numbers of reviews yet, the comments fall along the same lines, and I find it difficult to articulate how much reviews mean to an author. Would you care to give it a go? What was your first review and how did you feel after reading it? A: My first review for Shadow Across the Liffey made me cry. Simply because, I couldn’t believe that someone liked my work enough to compare it to the late Maeve Binchy. I was overwhelmed with gratitude because it made people want to read it. I was thrilled with each review I received from Amazon. Reviews mean so much because if they are good it makes you feel that you’re doing something right, by giving pleasure to your reader. Good, or bad, reviews to an author means that someone is reading your work and has found the time to let you know what they feel. Q: I identify with your remarks. Can you tell us a little about your next book and when it will be available to purchase? A: My third book, Galway Girl, is my first historical suspense, set in early 19c. It will be released first as an e-book in May of this year. It’s about a young gypsy girl, Tamara, who overhears her gypsy parents discussing her marriage to a rich landowner. She escapes by stowing away on a ship with dire consequences. Carol here again: Cathy, thanks for your time and answers. I’ve enjoyed having you here on my blog. Best of luck with your writing career! And for my readers, here’s a bit more about Cathy, her book buy links and contact links. Author bio: Member of Leicester Writers’ Club, Just Write workshop, Life President of Lutterworth Writers’ Group, Member NAWG, Member Romantic Novelist Association and past president of Riverside Speakers club. In recent times, Cathy has turned to writing full-length novels that are set in Ireland/England. Her debut book, Shadow Across the Liffey, a 2013 contender for the Romantic Novelists’ Association’s Joan Hessayon award, was published in February 2013 by Tirgearr Publishing. Her Father’s Daughter, Cathy’s second book, has been contracted by the same publisher. She was a recent contestant on the TV show Food Glorious Food. 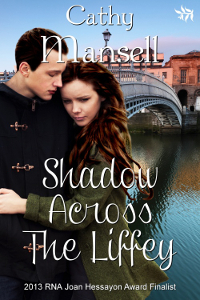 This entry was posted in Books, Cover Art, Guests, Promo and tagged blog tour, Cathy Mansell, guest author, interview, Shadow Across The Liffey. Bookmark the permalink. 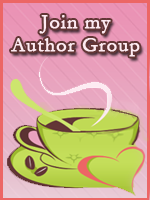 Hi Carol, thanks for having me on your blog today. I hope your readers will enjoy reading my post and leave a comment. Welcome, Cathy. Congrats on your new release! Shadow Across the Liffey sounds like a lovely, emotional read. Thank you Carol. Love your blog site and it’s nice being here today. What a beautiful cover. I visited Irland a number of years ago and have wonderful memories of the country. I look forward to reading your books.